A Howl Of A Good Time At Chica..
Detroit-style pizza is so hot right now, but what about the Detroit coffee scene? That’s worth some extra attention at the moment as well, thanks to the brand new, freshly opened New Order Coffee in the city’s Midtown district. They’re roasting their own coffee in a beautiful 2,000-square-foot space, and serving up classics with the occasional twist: Crunch Berry latte, anyone? As told to Sprudge by Jillian Giacomino. The nano-batch specialty roaster features proprietary coffee drinks, a custom roasting on demand program, sweet and savory pastries, specialty foods and candies, and an array of carefully curated coffee gear. Located just blocks away from the soon-to-open Little Caesar’s Arena, the 2,000 square foot cafe will seat 60 guests with a heated indoor/outdoor patio and semi-private conference room. The cafe touts a “gleeful defiance of the status quo” by merging the ideals of craft coffee in a friendly and approachable manner with whimsical drinks and food items. In partnership with et al. Collaborative (Standby, Selden Standard), the cafe’s design features a modern, bright façade with white birch outlays and bright pops of their signature aqua and orange. A six-seat laptop bar will line the windows on Woodward and a 24-seat heated patio will feature open-air windows along Watson Street. An eight-seat semi-private space is available for meeting rentals (equipped with audio visual capabilities). Drink offerings include microbrewed by-the-cup coffee, handcrafted espresso drinks, cold brew and nitro cold brew, teas, and an array of specialty lattes with flavor-infused house made marshmallows, cereal milks, and M&M ganache. A Crunch Berry Cereal Milk latte is on tap as the cafe’s inaugural rotating specialty latte. Guests are invited to choose their bean with a choice of house blend (Case Study No. 1), Brazil Mogiana, Ethiopia Sidamo Gerbicho Killa, Timor Organic, Guatemala Atitlan, and ‘Like a Virgin’ water-processed decaf. 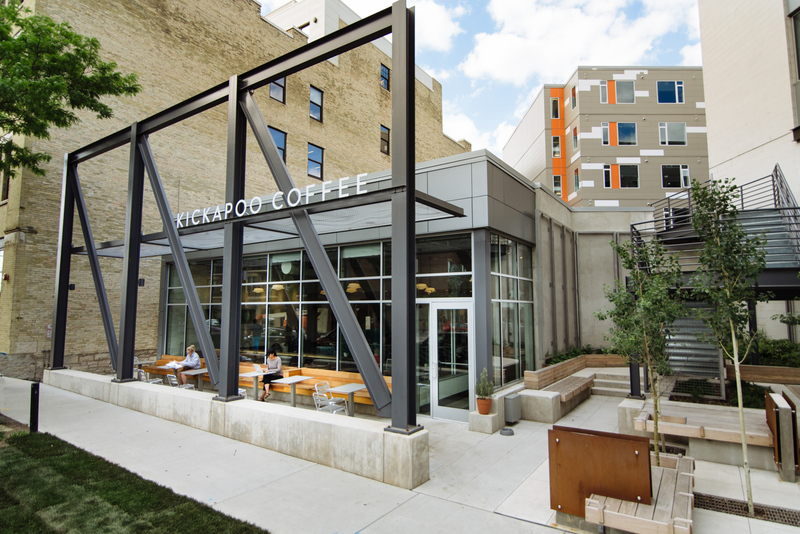 The cafe utilizes premier brewing equipment including a customized electric fluid bed air roaster as well as a Synesso MVP Hydra espresso machine and Modbar’s pour-over coffee system. New Order Coffee is located at 3100 Woodward, Detroit. Check out their official website and find them on Facebook, Instagram, and Twitter.